Harambee Africa International is launching the 7th International Prize, “Communicating Africa” to help create a more accurate image of Africa, one that reflects the existing conflicts but also shows the reasons for hope; the richness and diversity of its peoples and cultures, the unwavering commitment to development, and at the same time the needs, which are still very real. In short, to promote awareness of a continent that is a treasure for the whole world. This is a prize for anyone who can bring out the greatness of the little stories this continent and its people hold, including stories of integration, peaceful coexistence, and dialogue. The goal is not to give a naive or simplistic view of Africa, but rather to show that, alongside wars and shortages, one also finds hope and the honest work of many individuals and organizations. 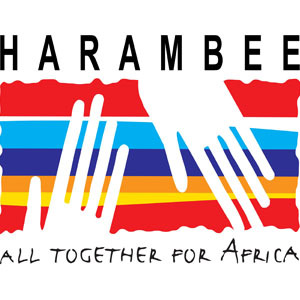 Harambee means “All Together” in Swahili and summarizes the meaning of this organization: all together to accompany a continent that has much to teach the world. The International Prize is an initiative promoted by Harambee Africa International Onlus as one of the activities they hope will help spread more accurante information about Africa. The Prize has been given out 6 times in its history, starting in 2004, and then later in 2006, 2008, 2010, 2013 and 2015. To meet the requirements listed in Section B (Prize Details), documentaries must be no longer than 60 minutes and video clips no longer than 5 minutes. -In the case of a documentary: a certificate from the broadcaster that aired it specifying the date and time of transmission; an authorization of the copyright holder of the works presented that allows for the showing of the work during the Prize Award Ceremony. The copyright holder will be duly recognized during the event. -In the case of a video clip: a certificate attesting to the authenticity and ownership of the work. You must also include. The work can be submitted in any one of the following languages​​: English, French, Italian, Portuguese, Spanish. If the video is in another language , it should include subtitles in one of these five languages. The list of works admitted to the competition will be published in harambee-africa.org (the website of Harambee Africa International). The jury , composed of members of different nationalities, may decide not to give one or both of the expected awards. Their decisions are final. The award ceremony will take place in Tolosa (France) in November 2017. The date and the place will be communicated in advance on harambee-africa.org. By registering in the competition, you authorize the organizers to use the documentaries and/or videos received exclusively for cultural purposes, (i.e. not for profit). Only the people indicated as authors on the registration form will be considered as authors of the documentary or video-clip. Participating in the contest implies that one accepts these rules.